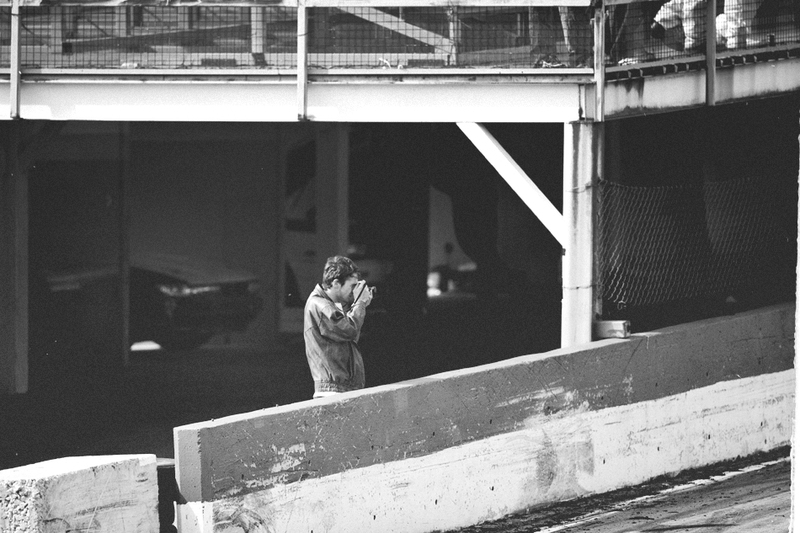 Christopher S Cain, standing on the ever so famous wall of Minami Circuit, Ebisu. You might’n recognise the name, but I’m sure your familiar with his blog, Beeoneoneoh. He put a photo up of Dino Dalle Carbonare and myself a few days ago, so I thought I’d return the favour. Chris mentioned photographers by nature generally don’t have many images of themselves, well whilst doing what they love doing, taking photos. I have to agree and I’m thrilled I have a shot of Chris at Ebisu otherwise I’d feel a little guilty. As we dropped into Tomei Japan it was a pleasant surprise meeting the two gurus from Drift Tengoku, JDM Option. 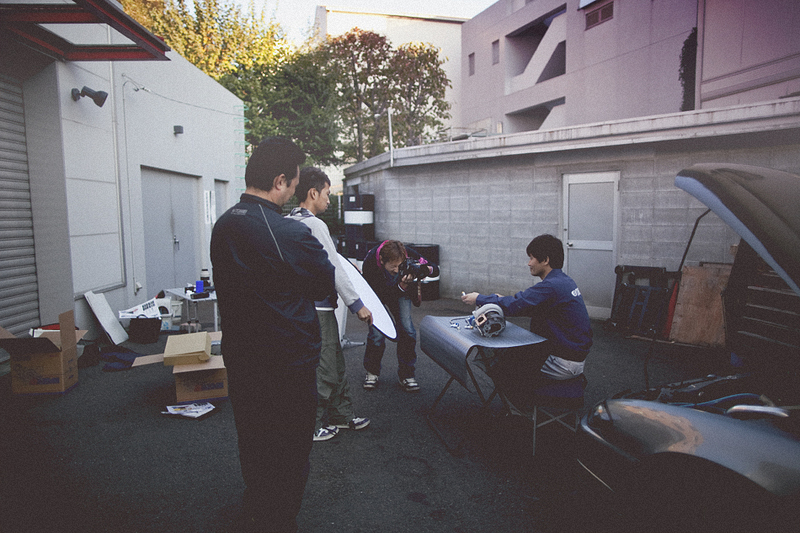 After they had finished their shoot on some new Tomei products we had quite a long chat, exchanging business cards and what-not. Yasuyuki Aizawa-san, the photographer was a really kind person and even gave us a bunch of Option2 stickers! 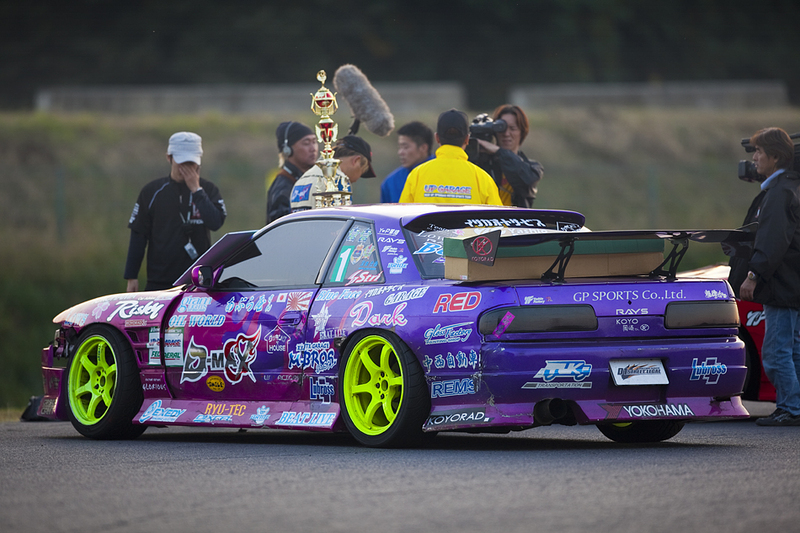 On our departure I picked up the latest Drift Tengoku magazine. I was in shock to see the photos in that same issue. It was only a week and a half before hand we saw the boys shooting at Tomei, not even a fortnight later it’s published. Japan continues to amaze me. 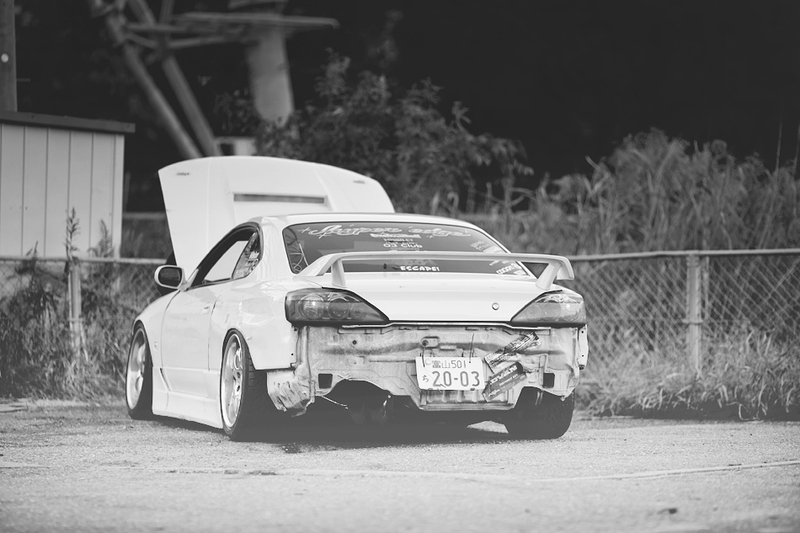 Yoshida Yuichi-san’s S15. The coolest car I think I aimed my camera at throughout my Japan trip. When he agreed to park the car up for some statics, my heart raced like never before. The whole time I was shooting it was one big adrenaline rush. I can easily say this was one of the happiest days of my life, it’s amazing how I react to cars sometimes. I have to say I’m so relieved to know that Nakamura-san is back in action. Guess who dropped into Tomei Powered today, Naoki Namakura the man himself, along with Takuya Hamakawa-san of Car Studio (D-Max). So, what are the plans for 2011 you wonder? Nakamura-san has confirmed that he will be competing this year. Not in D1, but in another series. What most people don’t know is that Naoki Nakamura is using Tomei Powered products in the cars he uses for competition and street. 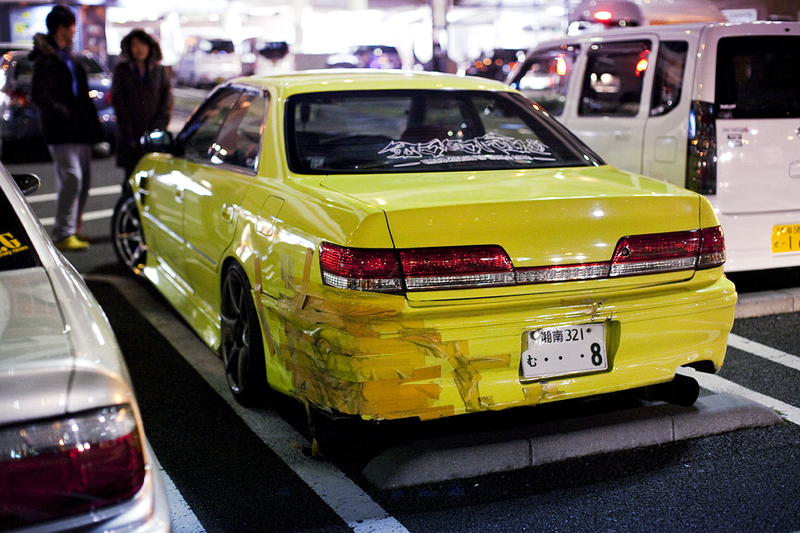 Cars that choose to take on the not-so forgiving walls of Minami generally mean they can steer. 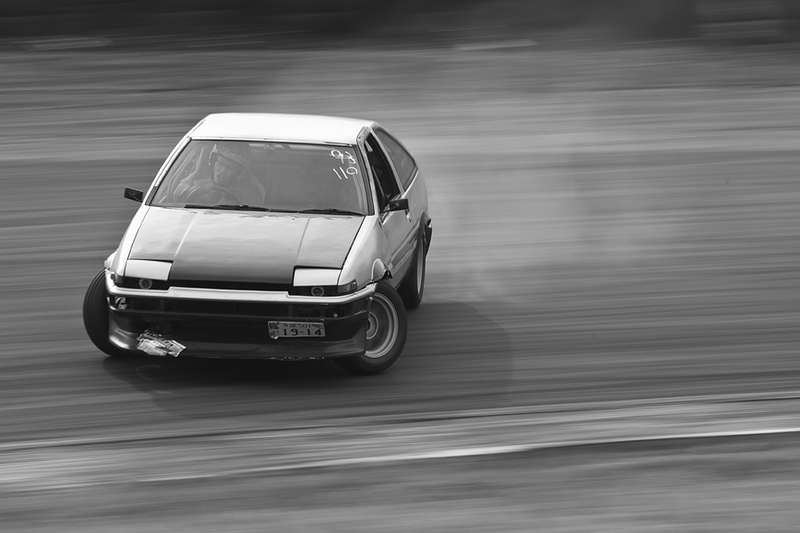 I was a bit iffy seeing this little Trueno hatch drive out for the first time. 10 minutes in, my jaw was dragging the bitumen. 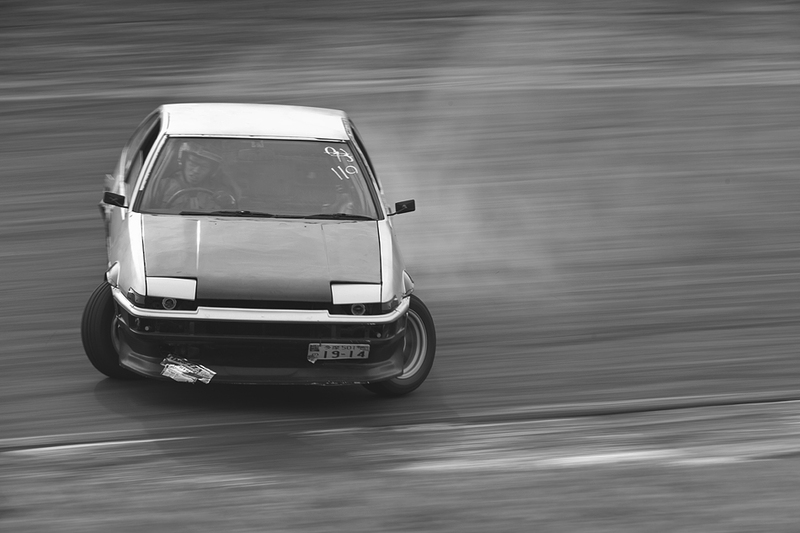 If there was a stand out car that was smashing Minami, in a good way it would have to be this little AE86. I remember standing inside the pits and watching it hop over the jump, screaming past the wall. Each time I had to either cover my ears and or look away, I’ve never heard a car this loud before. Exiting off the wall, entering into the tight left corner he gained unbelievable amounts of angle every single time. One reason why he was such a standout was definitely his level of consistency. Note; his facial expressions. As I continue to dig up photos from the Autumn Matsuri, I came across this set of images of the Kansai boys when they entered Ebisu. Yes, more photos of John’s PS13, but I can’t get enough. This is one of my favourite photos of the car. 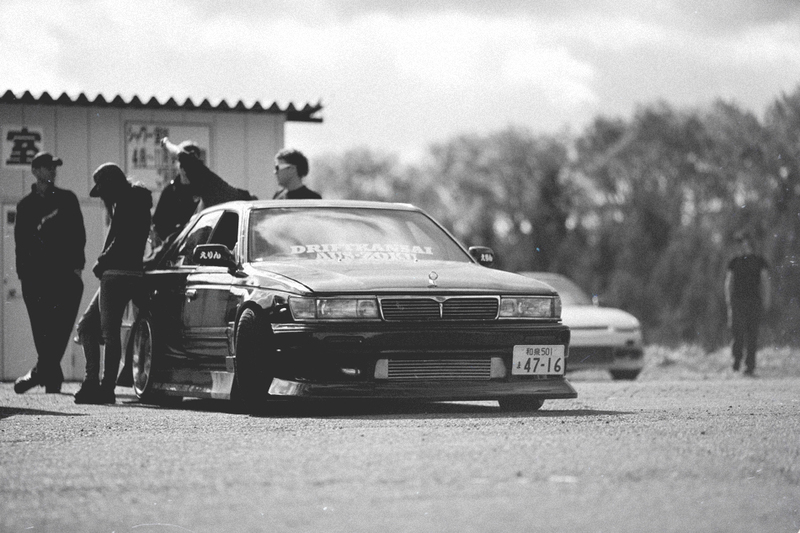 Just chilling in the touge car park, overlooking the East Course surrounded by a dozen missiles. Here, Shane’s quad-bike which he uses to scoot around the mountain to not only save petrol in the car but to have some fun! 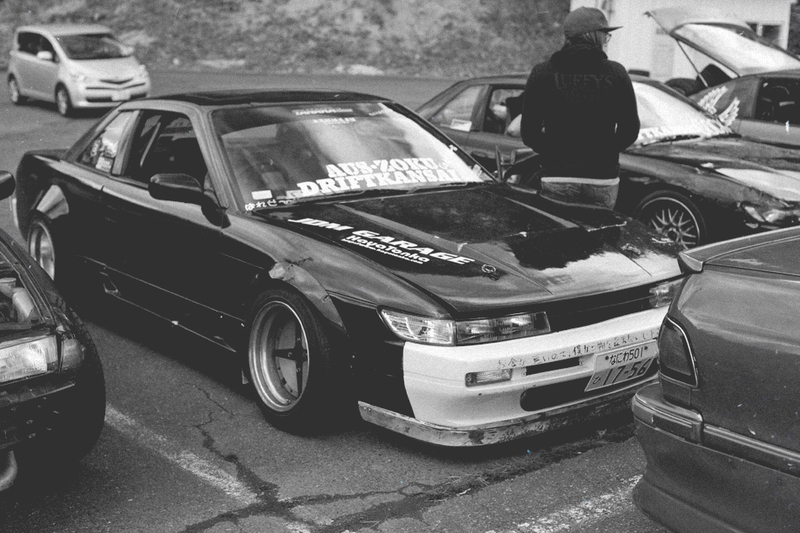 Oh and John’s car sneaking in the background. Damn Hoshino’s rock! Erin from JDM Garage arrived in this C33 Laurel. Within an hour of there arrival I was in the car having a blast on the Driftland course, only to find a boost leak, which was an easy fix! 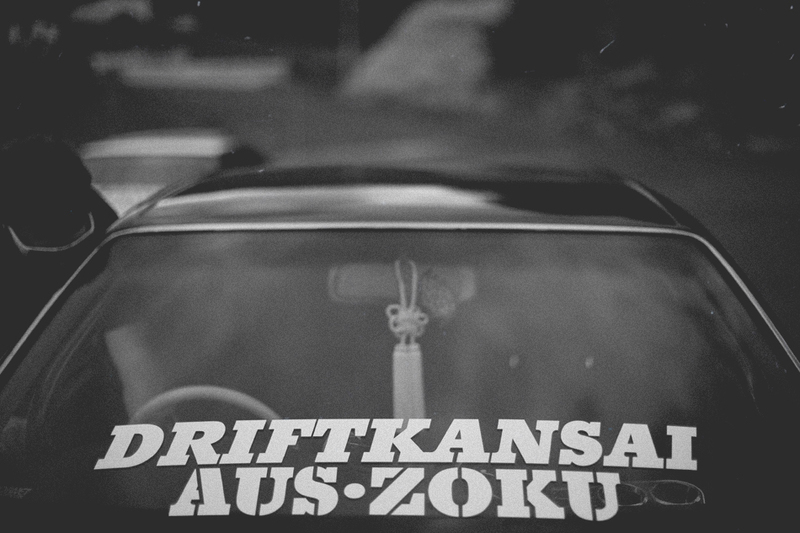 The car has had an engine swap from an RB20 to an SR.
Be sure to check out; K-Tours Osaka, Drift Kansai & Auszoku. 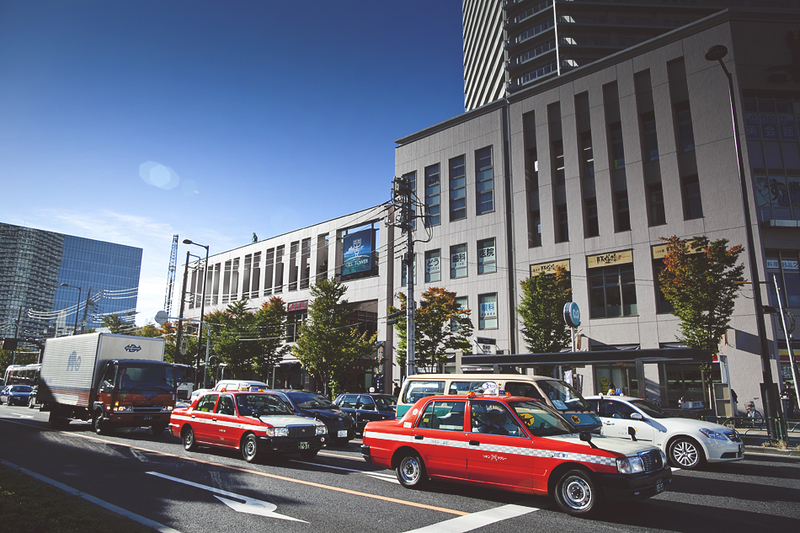 There are limited spots left for Spring Matsuri with K-Tours Osaka, ran by Erin from JDM Garage. 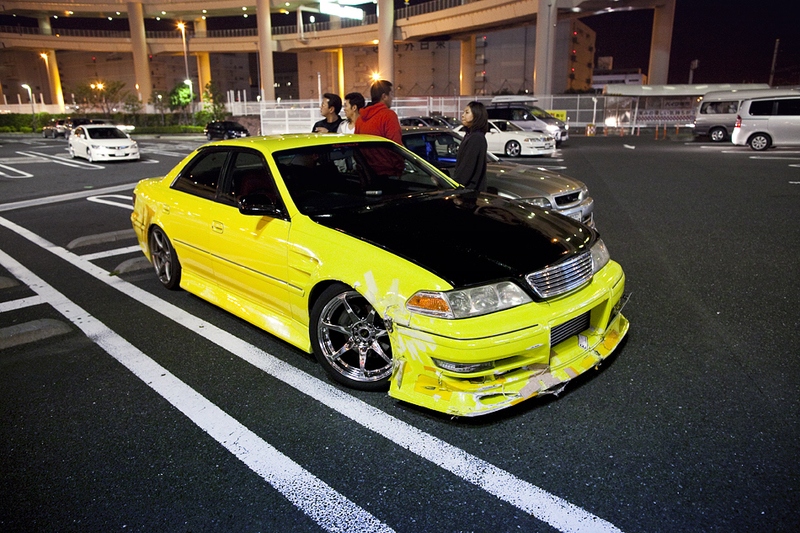 Here it is, The yellow JZX 100 Mark II. These two Chasers sounded unbelievably tough as the howling of the 1JZ’s echoed throughout the Daikoku PA circular highway. Being the first of many cars to enter the car park, I sure was excited to see what else would roll through. 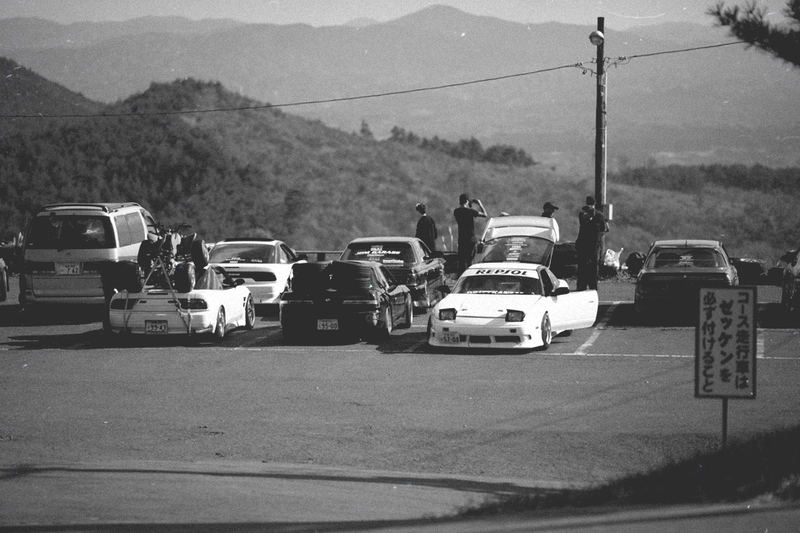 A lot of cars head to Daikoku for one particular thing, Street drifting. By the look of this Mark II I think it’s driven exactly for that purpose. On the other hand, the 100 on the right of it looks to be a little cleaner, however in saying that I don’t think it would just be a daily driver. Half of the rear bar full of yellow electrical tape, maybe this is the new zipties? In my eyes, these cars are to die for. 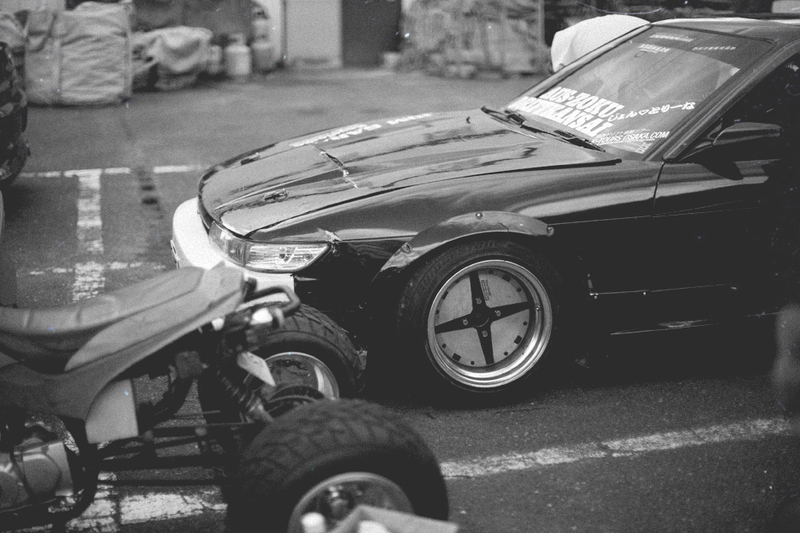 Daikoku PA was just one big adrenaline rush particularly shooting cars like these.